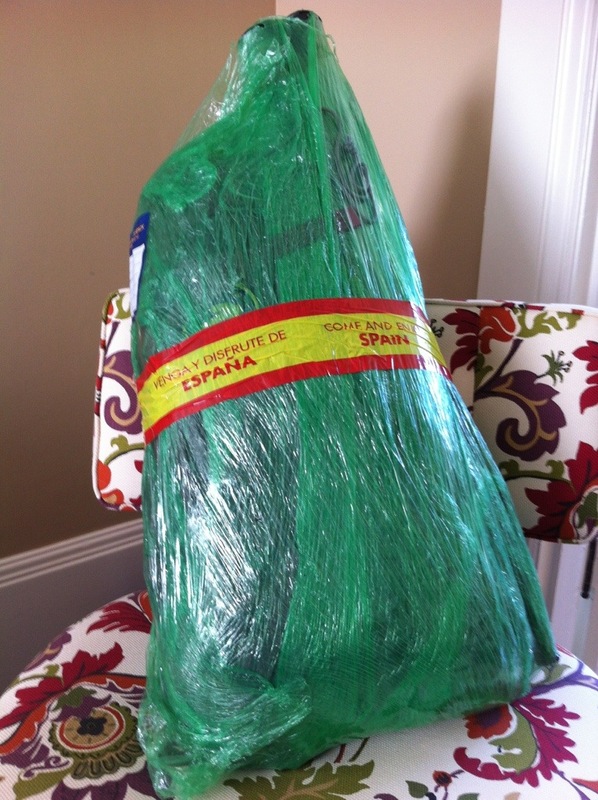 Yesterday at the Madrid airport I had to encase my pack in plastic wrap so that I could check my trekking poles. I couldn’t carry them on board, and they didn’t fit inside. The end result looks a lot like a Spanish ham, or Jamon! Right now I’m savoring how, for once in my adult life, I travelled light. I don’t want to “break the seal” quite yet, and unpack my Camino pack. I’m still coming in for landing back to my Bay Area life. The process of unpacking the Camino experience will be ongoing, as life moves forward. What a great solution to a frequent problem! Never seen this before and the results…! Welcome home. RICE, RICE, RICE baby!! You’ll be back on your feet soon but for now give those dogs a break. 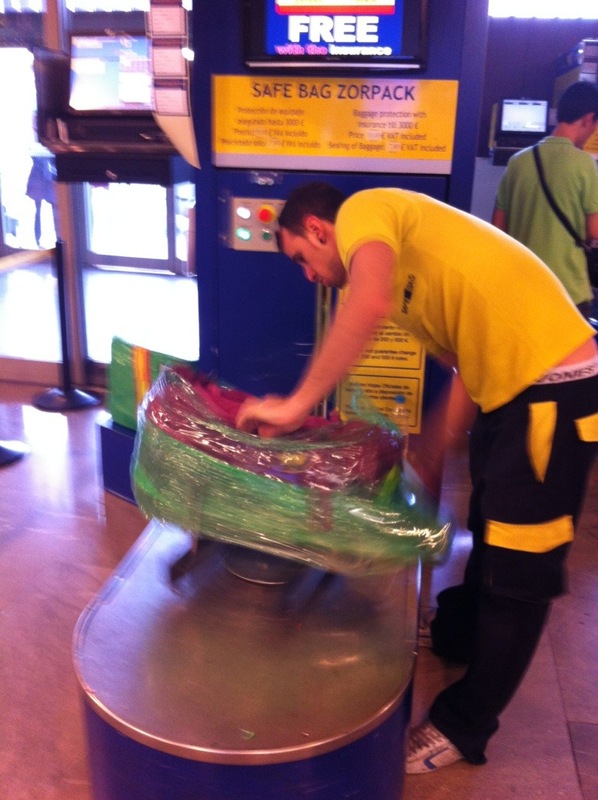 It was certainly a relief to find the guy spinning Serran Wrap right there by the Air France check-in. Sitting here with foot up, ice bag on my ankle. And such a big, yummy-looking jamon serrano! Welcome home. Hi Eliza! Yes, it was a fun moment at the airport. Hope that you run into my friends from Chicago, Gina and Caroline. They were at Cruz de Ferro yesterday.